Waterfowl hunters can now choose from the widest selection of steel shot ammunition ever offered. 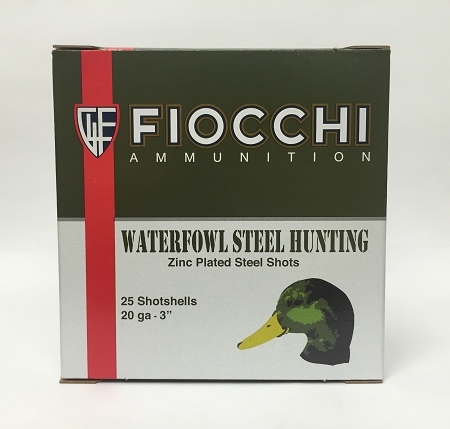 Fiocchi Steel shot hunting loads are manufactured with a combination of treated steel shot, protective wads and the appropriate powders to deliver a consistent dense pattern that is easy on your gun barrel but hard on your target. When you must use steel shot you can find a Fiocchi Steel Shotshell to fit the application. Fiocchi Speed Steel ammunition's extreme velocity allows for delivery of quick, humane kills all hunters strive for.